This is a modification to the Plott3r to turn it in to a scann3r. The original Plott3r was accurate to around 1mm, so this scanner has 10 dots/cm or 25 dpi resolution. This model replaces the pen holder head with a colour sensor scanner head. Once built, plug the sensor in to input port 3. The code (when released) is for use under ev3dev. I chose to use ev3dev as I wanted to start programming in Perl for the EV3, and the default LEGO® software isn't stunningly efficient at handling arrays. See the build instructions for Plott3r for the main build. The additional build instructions are available as a PDF, or LDraw file if that is preferred, from the resources section below. The red pins are used so that the back plate can be pivoted out of the way when clipping the head on to the track. 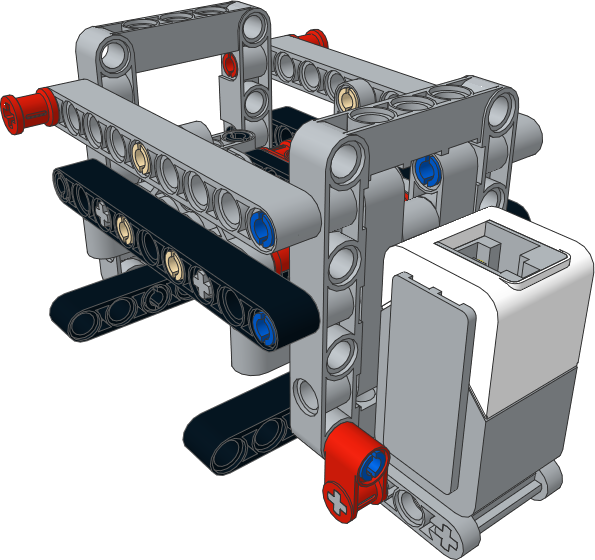 LDraw Model File - Created with Bricksmith and LDraw. 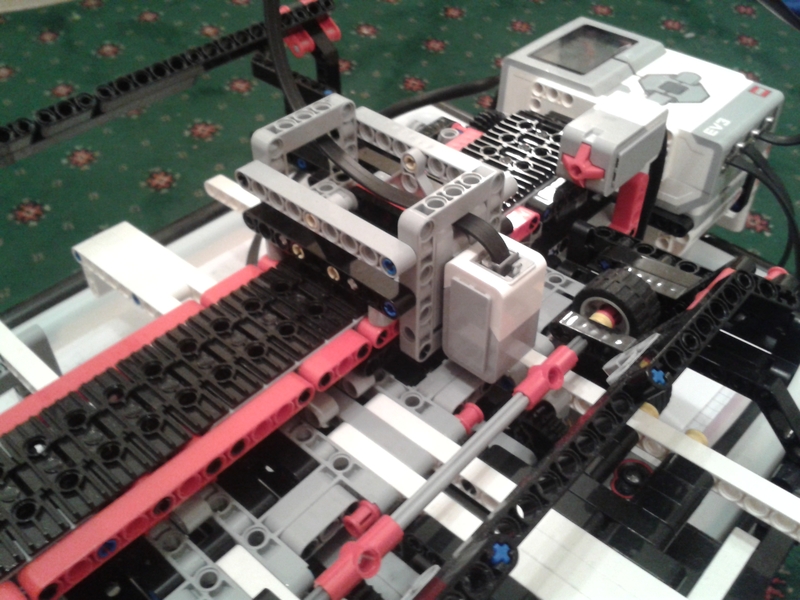 If you have any feedback on this project, documentation, code or any other aspect, feel free to contact me via email at lego <@> jander [dot] me [dot] uk. LEGO® Plott3r by Jerry Nicholls is licensed under a Creative Commons Attribution-ShareAlike 4.0 International License. Based on a work at http://jander.me.uk/LEGO/scann3r.html. Back up to my LEGO® projects.